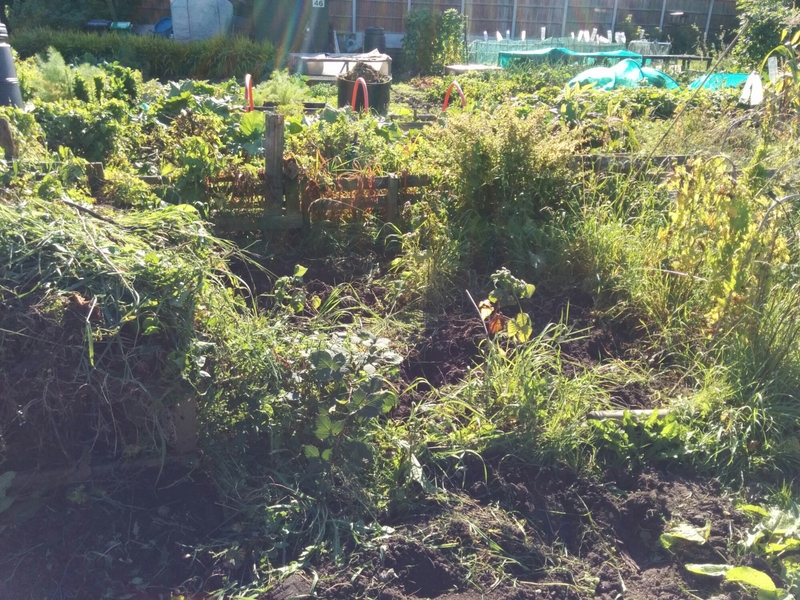 After making minimal progress with the weeds yesterday, I headed out early determined to clear the middle section of the main plot. A few hours later, my husband and his friend appeared to help with the masses of weeds inhabiting the bottom plot. The doc plants which grow profusely in that plot have enormously deep roots, often requiring a hole several foot deep to be dug around it followed by turning the air blue as you try to extract it against its will. 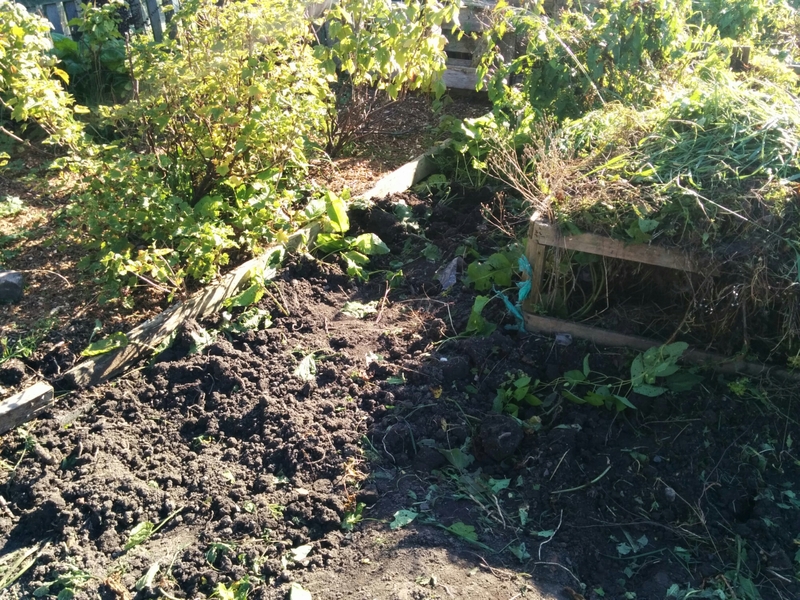 They cleared the worst offenders and even began on the raspberry bed. 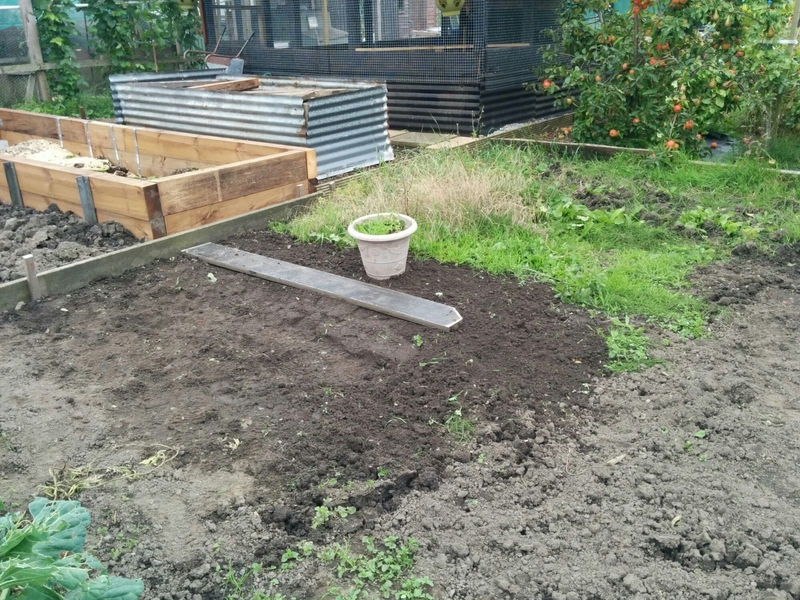 The cleared section in the bed is big enough that I can get in there tomorrow to clear the rest of it. 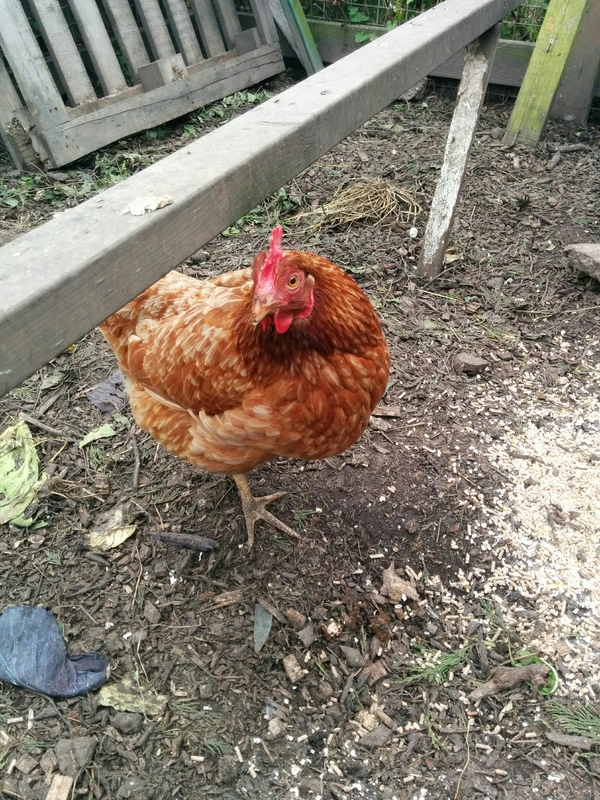 Sadly the rats are still in residence, assiduously avoiding the baited traps – it looks like we may have to resort to poison provided we can guarantee that the hens won’t get to it. Luckily they seem to be mainly based outside the coop, making poisoning easier as the chickens will be safe inside the coop with no way to access the tunnel full with poison. 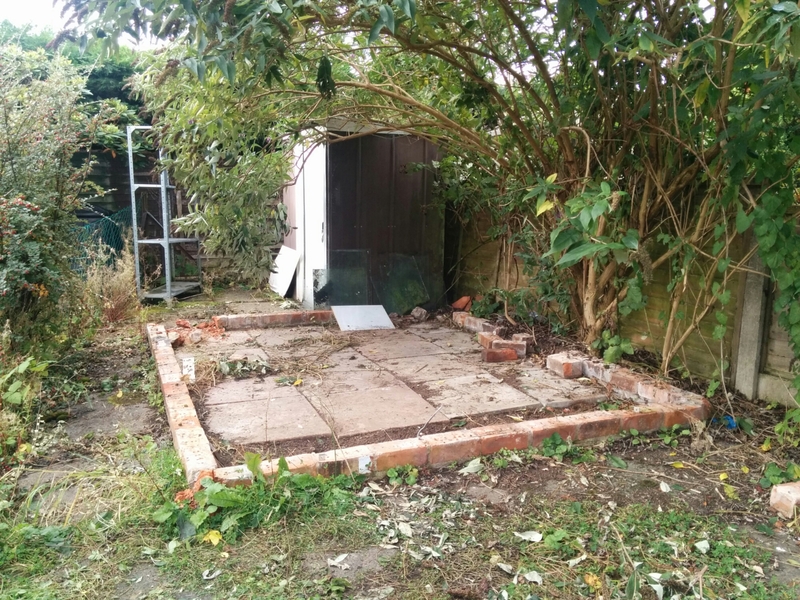 Still pondering about how to best make the base for the new greenhouse – it may take a little more thought as we will need to invest either in wooden planking or slabs before reassembling the structure. 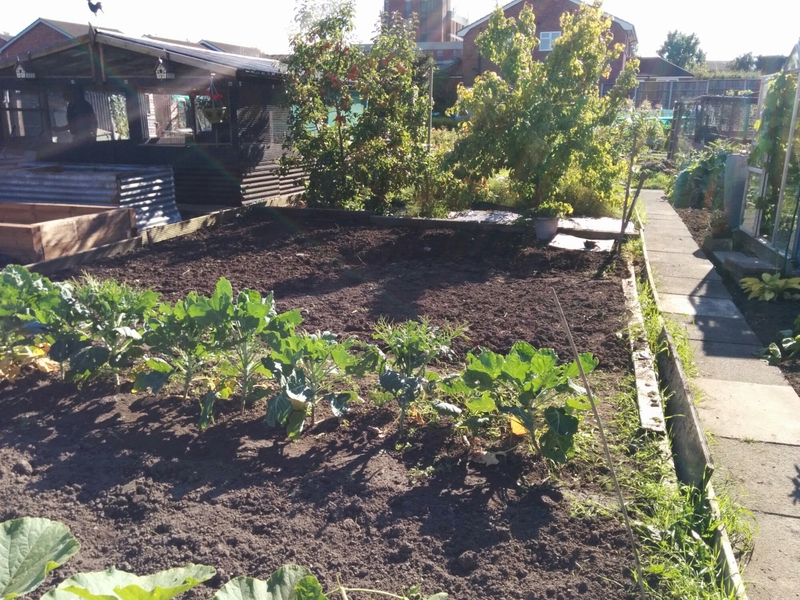 I have discovered a new effective way of weeding in comfort – as I get further through my pregnancy, it gets harder and more uncomfortable to bend down. Armed with a wooden plank, a fork and my iPod complete with a favourite audio book, I prise up the ground in a line before plonking myself down on the wooden plank either on my knees, or when these complain after several hours of weeding, sit on the plank and extract every weed within reach whilst listening to my iPod. Repeat as required. Genius!